Statistics agency Eurostat said Wednesday that industrial output in the single currency bloc was 4.2 percent lower in December than the year before. That's the worst performance since November 2009. The figure was weighed down by a bigger than expected month-on-month decline. In December, output was down 0.9 percent against expectations for a 0.4 percent fall. The news could ratchet up expectations that eurozone growth in the fourth quarter may be revised down from a quarterly rate of 0.2 percent. Andrew Kenningham, chief European economist at Capital Economics, said the "risk of an outright recession has clearly risen." The figures for the average of 28 member countries of the European Union were also not bright. The EU-28 saw an annual fall of 2.7 percent in industrial production in December. The calendar adjusted production index for total industry stood at 101.1 in December last year, as the index was 103.9 in the same month of the previous year. 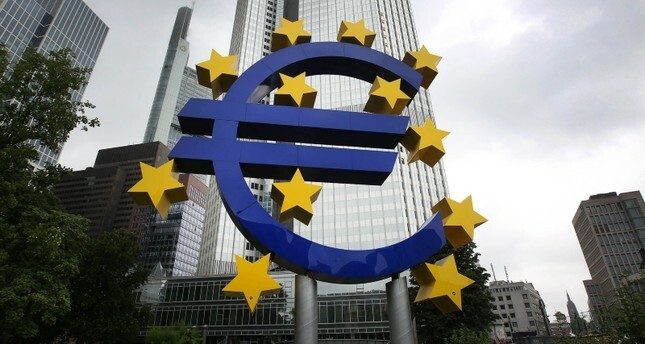 "In the EU28, production of capital goods fell by 4.2 percent, intermediate goods by 3.2 percent, durable consumer goods by 2.9 percent, energy by 1.5 percent and non-durable consumer goods by 0.2 percent," Eurostat said. On a yearly basis, the biggest drops in industrial production were seen in Ireland (down 19.8 percent), Spain (down 6.7 percent) and Croatia with a 6.6-percent fall. "The highest increases were observed in Denmark (up 14.3 percent), Hungary (up 5.8 percent) and Estonia (up 5.7 percent)," Eurostat said. In the same period, the euro area also saw a fall in industrial production -- going down 4.2 percent. The index was 98.6 in December. "The average industrial production for the year 2018, compared with 2017, rose by 1.1 percent in the euro area and by 1.3 percent in the EU28," the statistical office added.